The Violin Blog of Dmitry Badiarov - violin-maker: Why the Badiarov violin bridges are always black. What is bridge? Why the Badiarov violin bridges are always black. What is bridge? In the late 90th I was studying violin design and then I happened to come across with a few designs of a lute which contained a vesica piscis (see below). In one design, by Arnault de Zwolle (15th century), the entire body of the lute was inscribed into the mandorla - the figure formed by the two intersecting circles of the vesica piscis. 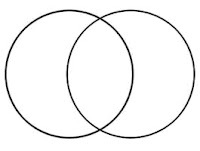 In the other design, the vesica piscis was in the lower part of the lute with the bridge connecting the centres of the two circles. Then I happened to discover that meaning of the bridge. 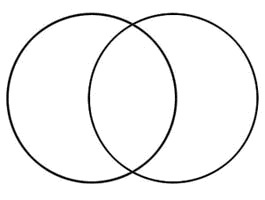 It is called bridge because it connects the centres of the vesica piscis : the figure symbolising the worlds of the Gods and of the Human. There is no reason to call it bridge otherwise. There is no vesica in the violin design. However the bridge got its name from the lute or a similar instrument centuries ago. 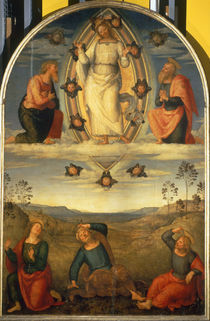 Many medieval and even renaissance paintings depict Christ or Madonna with Child inscribed into the vesica piscis or the mandorla even if in the later paintings the vescia is less obvious. Where else could they be inscribed? Madonna and Child were seen as the connecting link between the earth and the heaven. One of the saints in the Portico de la Gloria in Santiago de Compostela (the left corner) adjusts the bridge on his fiddle : firstly, the saints build the bridge between the Earth and the Heaven; secondly, the bridge is a symbol of the link between the two worlds. It even carries the load of the strings: the Pythagorean heavenly harmony on its shoulders. No wonder, the bridge attributed to Stradivari has two atlants carrying the Harmony of the Universe on their shoulders. So, the bridge is called bridge - el puente (es), il ponticello (it) - because it links the world of the humans with the world of the Harmony of Universe, the god. The old Russian кобылка and the contemporary French chevalet - both words meaning a small horse - are related symbols. Until development of photography it was believed that horses, when trotting, were floating between the earth and the sky and thus were seen as a link between the earth and the heaven. It was not before Eadward Muybridge, in 1878, produced series of photographs - in fact it is a world-famous photograph - to prove that horses were not flying. Pegasus is a different animal. It is a horse with wings. They would be flying even in photographs. Despite the photographic proof that horses are not heavenly creatures, the french word for bridge - chevalet - did not change into something less meaningful but more pragmatic, such as in the modern Russian - подставка - that is, some utensil to use under some other object. Practical, but not beautiful. Well, the bridge does not have to connect the humans and the gods but if it helped to connect humans it would already be good enough. Series of unfortunate events some years ago caused me to start painting my bridges black. The event was a murder announced in a Japanese newspaper. Young mother's newborn baby was killed by a burglar in front of her. I thought, "God, I hope her relatives understand how she feels and will surround her with lots of care and attention or she might commit suicide". Three days later the same newspaper announced the mother committed suicide leaving a message, "I felt lonely". I usually did not tell this part of the story. It is personal. Black bridges have an interesting effect. Not sound-wise, of course. The sound is just the same as that of the white bridges because my bridges are made of maple and painted black. Black bridges have a social effect while the white bridges do not. "oh... ebony bridges, what a ...". Others ask why the bridges are black. I reply then, "well, if it is not black then we have no chance to talk about why the bridge is called bridge in first place". It takes a few minutes to convey the story going centuries back into the roots of our cultures but, after many years of telling this story again and again, I have never met a person who did not find this story inspiring. Musician's work, like that of the saints, is to make bridges. Black bridges help the work better than the ordinary white bridges. They also look more beautiful, between the black fingerboard and the black tailpiece. They also work definitely better than the baroque ornamented bridges, such as those by Stradivari. 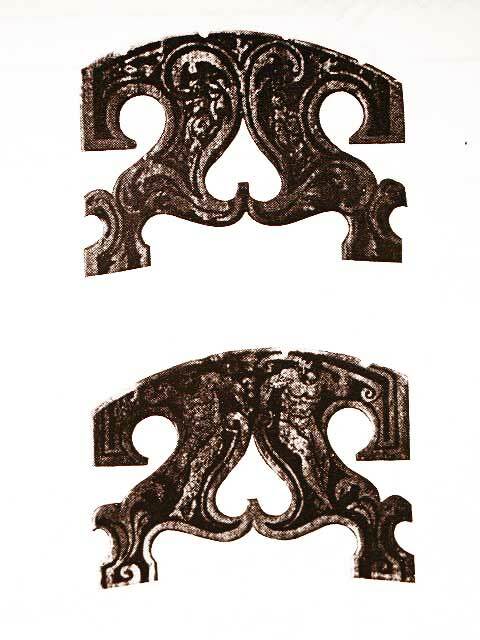 An ornamented bridge is just that : a nice ornamented bridge however it won't provoke for a meaningful talk. How to make a violoncello da spalla.